Increased Google Organic Traffic by more than 63% last year compared to the year before. We wrote informational content related to the procedures Dr.Serra performs, answering common questions that patients would have about them. This builds the authority of his site both in the eyes of his patients and in the eyes of Google - so it's a win-win! Increased the Contact Forms filled out by more than 27.86% last year compared to the year before. We did this by creating better internal linking throughout the site. We went back through all the pages and added links with text like "Still need more information? Contact Us here!" As you can see in the graph above, there is a clear distinction in the amount of Organic Search Traffic the website received last year compared to the year before, primarily due to our SEO work described above. Before our changes, the site only received 6,928 new Organic visitors over the course of the year. The following year, they received 11,874 new visitors. That's a 71.39% increase in new visitors from Organic Traffic. 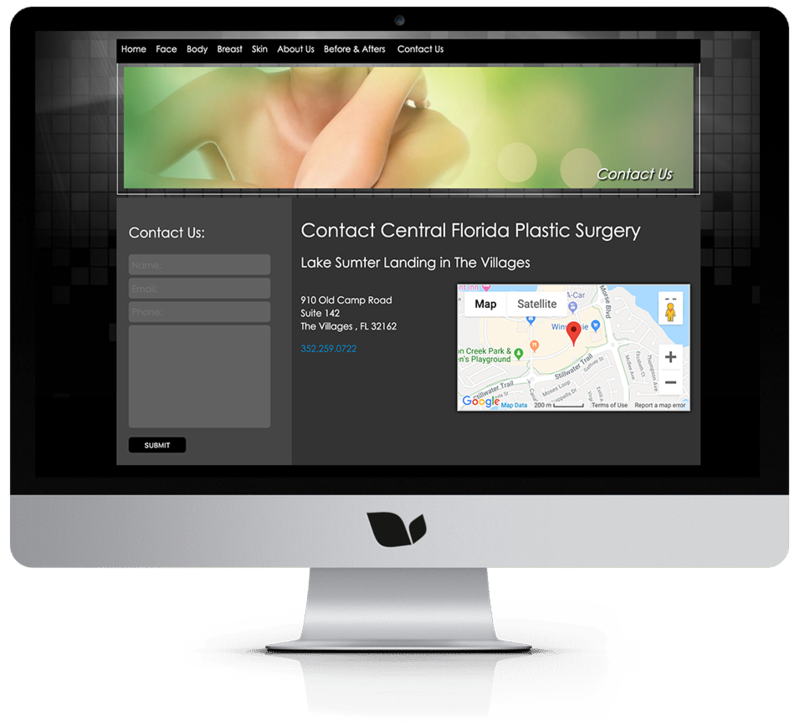 To help the site rank on the first page in Google for competitive terms related to Plastic Surgery in the Central Florida area. Wrote informative content to answer common questions patients would have related to the procedures Dr.Serra performs. Went through existing content to find & take advantage of internal linking opportunities. Performed outreach to get other local companies to link back to the site. We've thoroughly enjoyed working with Dr.Serra, as he has provided us with the freedom to demonstrate our expertise in this area. As you can see, that trust has worked out perfectly for us both!